The brand new feature "Mobile Templates" proves that Blogger team is listening to bloggers feed back or innovative thoughts of bloggers all around the world. Once again Blogger team had done a great job by introducing brand new feature called "Mobile Optimized Version". This feature is introduced recently by blogger. This innovative step is taken by blogger team to conquer the world of mobile devices as there is huge traffic coming from the mobile devices. So, blogger introduced mobile-optimized version to make the blog look great on mobile devices for the purpose of web surfers or internet surfers. Blogger is facing heavy competition from wordpress software. So, blogger has to be innovative to be on top. 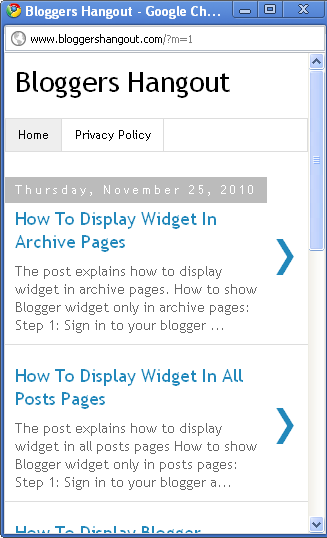 Hats off to the blogger team for introducing brand new feature "Mobile Templates or Mobile Optimized Version".